The new Sustainability merit badge introduced at the 2013 National Scout Jamboree will focus Scouts on considering the big picture of global resources. Photo by Tim Underhill. 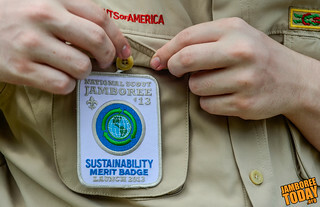 This image appears in "New Sustainability Merit Badge Natural Fit at Jamboree."